Craig Fredric Johnston was born at Surry Hills, Sydney, on 13 January 1951, the youngest child of Frederick Bourke Johnston and his wife Norma Dawn née Finely. Craig Johnston was educated at Matraville Soldiers’ Settlement school and Matraville High School. He studied commerce at the University of NSW and transferred to Arts at the University of Sydney in 1973. He joined the Australian Labor Party while still at high school. Between 1973 and 1976 he was involved with the Students Representative Council and the Communist Party of Australia 1974-76. In 1977 he worked in Melbourne as the education vice president of the Australian Union of Students. He taught politics at Sydney University from 1978 before working as a public policy analyst in the community, government and private sectors. He undertook postgraduate study in policy studies (MPS, University of NSW, 2001) and buddhist studies (MBS, University of Sydney, 2011), the latter linked to his engagement with Theravāda buddhism since 2005. Craig Johnston became secretary of the East Sydney branch of the ALP in 1983. He lived in Darlinghurst from 1981 to 2017. Craig Johnston joined Sydney Gay Liberation in 1973, was involved in the first Sydney Gay Mardi Gras in 1978, and was a co-founder of the Gay Rights Lobby in 1980. In 1985, together with Alderman Brian McGahen, he organised the first AIDS candlelight rally in Australia. He wrote Consumer rights and utilities: issues and options for New South Wales (1995) and A Sydney Gaze: the making of gay liberation (1999) as well as editing and authoring various other works on housing and social policy since the 1980s. He has been a member of the Gay and Lesbian Rights Lobby, Sydney Gay and Lesbian Mardi Gras, and the AIDS Council of NSW. In 1986, he donated his collection of gay newspapers and magazines to the City of Sydney Library. 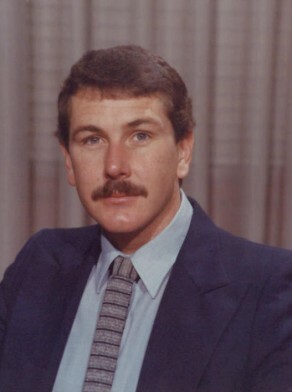 Craig Johnston was elected Alderman for Macquarie Ward, 14 April 1984 until 26 March 1987 when the Council was replaced by a three-member Commission. He was an openly gay Alderman and committed to the gay liberation movement. In 1984 he was a member of the Works and Housing Committee, the Properties Committee, the Building and Development Committee and the City Planning Committee. He was a member of the Major Building and Development and City Planning Committee between 1985 and 1987.Johnston was elected in 1984 as a member of the Australian Labor Party (ALP) but became an independent councilor, after being expelled from the ALP in October 1985 after differences between the left-wing (of which Johnston was a member) and right-wing factions over relations with the Independent and Liberal Party councilors.